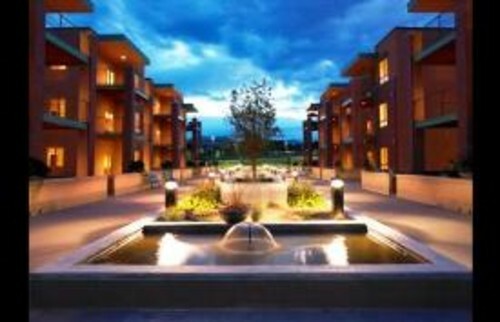 Louisville CO - Beautiful Corporate Housing in Louisville Colorado! NEW, Fully Furnished Lofts For Rent, All-Inclusive, Flexible Lease Terms, Month-to-Month or Longer, 1&2 Bedrooms - Sublets & Temporary - Housing in Boulder CO, Rentals, Real Estate, Homes and More! The Centennial Pavilion Lofts features new construction, upscale finishes, in the heart of Louisville with easy access to Boulder, Broomfield, Superior, Interlocken, and Denver. These loft rentals are ideal for corporate rental, temporary to extended stay housing, vacation rental, or long term rentals. Enjoy hardwood floors, granite countertops, mountain views, luxurious furnishings, and all-inclusive rates for a truly hassle free and enjoyable stay. These turn-key lofts include all the comforts of home, just bring your suitcase! They include housewares, linens, towels, cookware, dishes, washer/dryer electronics, TV's, DVD, telephone, modem, and more! Reserved covered parking with every unit. Flexible lease terms start at just thirty days, month to month or longer terms available. For exclusive availability and leasing information please contact Housing Helpers at 303-545-6000, or e-mail us with your reservation request. Louisville CO Real Estate. View Homes For Sale, Rentals, Houses, Condos, Apartments, and more properties in Louisville Colorado.